You‘re a London tube driver and you‘ve had two ‘one–unders‘ in as many weeks. You‘re traumatized but completely blameless. Then you‘re told about the ‘Three and Out‘ rule; three fatal accidents within a month and you‘re out of a job… but with a huge pay off! What do you do? Take trauma counselling and drive very, very carefully? Or do you seek out a third ‘one–under‘, take the cash, pay off your debts and retire to a Scottish idyll to write your novel? How far would you honestly go to achieve your dream? 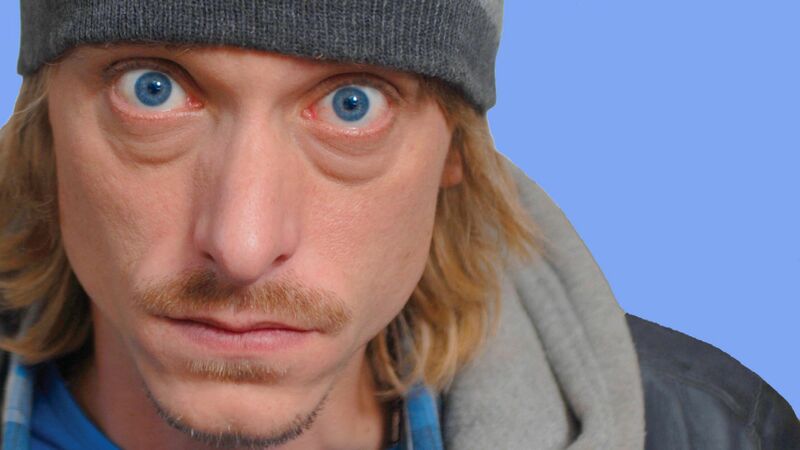 Well, in this classic Brit comedy Mackenzie Crook (from "The Office" and "Pirates of the Carribean" fame) is willing to try anything. Even if it means encouraging the waifs and strays and down right depressed of this world to end their troubled lives under the wheels of his Tube train. Supporting Crook is "Star Trek: The Next Generation" alumni Colm Meaney along with last year‘s breakout star of "St. Trinian‘s" Gemma Arterton – soon to be seen alongside Daniel Craig in James Bond‘s latest adventure "Quantum of Solace". "Three And Out" is a darkly funny tale of the perpetual loser and his fight to achieve just the merest semblence of a life.